La Ruta del Toro (Route of the Bull) is a series of culinary experiences at PLAZA DEL TORO in which the Toro Bravo Inc. 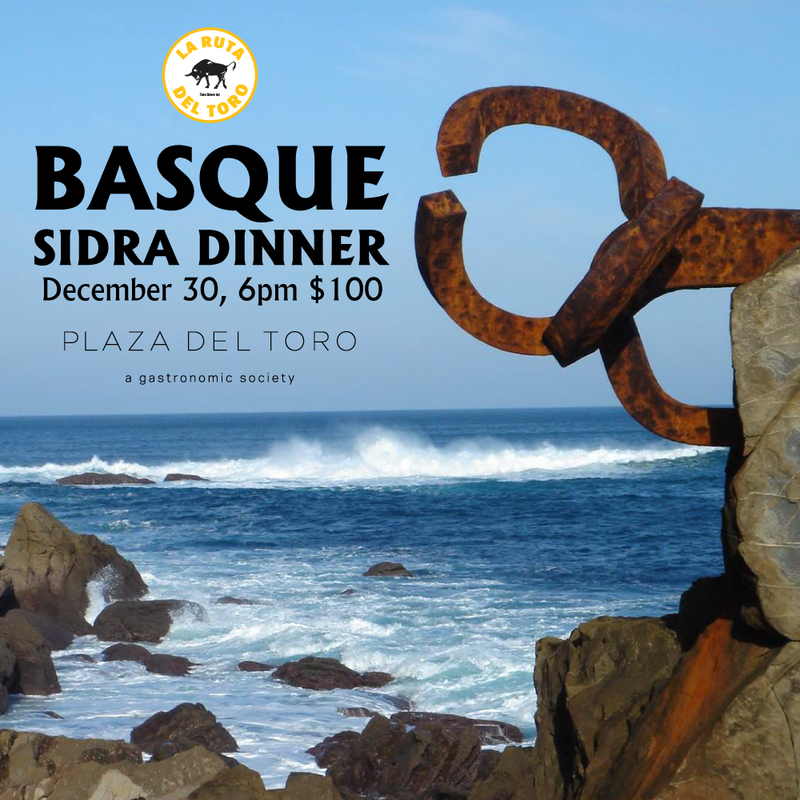 Restaurant Group shares food and explores Spain to bridge the cultures of Portland and Spain. Events include seated dinners inspired by regions of Spain, traveling guest chefs and winemakers, Spanish entertainment, live music, and DJ’d dance parties. The return of Spanish chef Juanjo Canals of Madrid’s Con Amor and Despecho restaurants. Juanjo, a veteran of PLAZA’s Chef in Residence series and Portland’s La Ruta PDX gastronomic festival, collaborated with PLAZA Chef Michael Kessler and Toro Bravo Chef Pat Manning on a Spanish tapas menu served in the style of Dim Sum. A culinary and cultural exploration of the Cádiz region of Spain featuring sherry from Bodegas La Cigarrera, the oldest almacenista bodega in the small town of Sanlúcar de Barrameda, with our special guest, ninth generation cellar master Ignacio Hidalgo (courtesy of De Maison Importing), a Flamenco show with emcee Pepe Raphael, Flamenco dancer Verónica Medina Cano and Flamenco guitarist Mark Ferguson.